Family reunions are full of reminiscing, fun activities and a really great chance to catch up with what’s going on in everyone’s lies. The key to family gatherings is to look amazing, yet comfortable for all the festivities. Continue reading to check out our Look of the Week! What makes this combination of items perfect for a family reunion? The cross body bag is perfect for being hands-free, especially for hugging all those relatives you haven’t seen in years. Plus, those types of events usually include buffet-style food, and you need both hands when scooping up your aunt’s famous potato salad or your grandma’s award-winning cobbler. I really love the floral scarf! It’s just the right amount of a pattern and it really has a fresh, youthful feel to it. Out of your family, who would you say has the most similar style to yours? My mom and I definitely have similar styles! We both like classic pieces with pops of color or a pop of prints. Does your family have reunions? We don’t necessarily have reunions, but we’ll visit each other and have gatherings. My mom is from Ohio and my dad is from Pittsburgh, so anytime we get the chance to go up there, it’s like a family reunion. They usually don’t come down here because they can’t handle the heat! Family reunions for us are always a big affair because we’re scattered all over the place. When we get together, we do it in style. My style is classy but edgy and these pieces all represent that, plus they all tie in with my jumpsuit. I’m also wearing Smoky Quartz, my national gemstone. I actually can’t choose! I love the studded clutch because it’s very me. The black spinel is edgy, but so glossy. It gives such a glitzy look, and I’m never far from cuffs or bangles. I love them all! We’re Scottish, so we do reunions well! Our last reunion was February this year. It was held in my honor, which was awesome. I hadn’t been home for two years. It was amazing to see so many of my family members and to finally meet all the new additions! My mum loves entertaining, so she held it at our cottage and cooked for everyone. My dad was the Sommelier as always. Our next reunion is in a few weeks for my sister’s wedding. I feel like summer dresses are comfy, which is perfect for a family reunion. Easy breezy! I love the tote. It’s not too big and not too small. And I love the color! My mother and I have similar styles. I have always considered her to be a fashionista. I get my sense of style from her. We still share clothing, jewelry, shoes… anything that fits. Does your family have reunions? What are they like? My family gets together as often as possible. We celebrate birthdays, accomplishments, holiday dinners and anything else in between. My family is amazing, even when it’s been a while, it’s always like old times. We have lots of fun, laughs, music, dancing and we usually eat Puerto Rican food. We love each other unconditionally and always have a blast. Love my family!! The best part about the Look of the Week is that you can get all of these featured items right here at the LC! 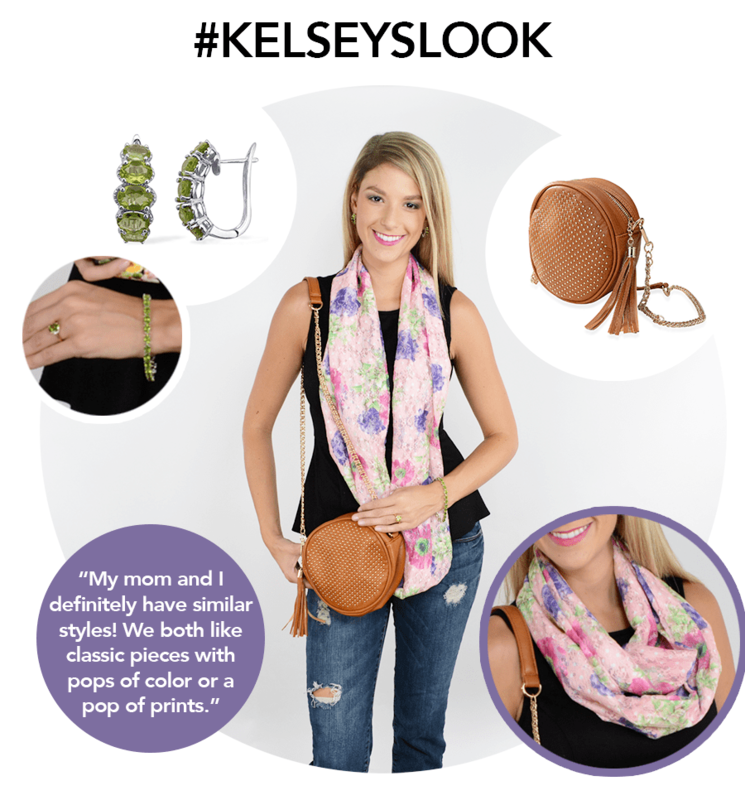 Now that you have seen THREE fabulous ways to look great for that big family reunion, use the hashtags #SARAHSLOOK, #JESSICASLOOK and#KELSEYSLOOK on Twitter and Facebook to cast your vote!